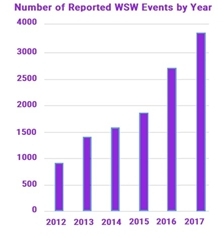 February 2, 2018 – World Space Week Association (WSWA) today released its 2017 report, announcing record growth of World Space Week (WSW) last year with an official 3,746 events in 80 nations. UN-declared WSW is held October 4-10 annually. “We welcome these vibrant space leaders to help power growth of the World Space Week celebration and of World Space Week Association,” said Dennis Stone, WSWA President. Saudi Arabia led the world with the nearly 1,000 events during WSW 2017, it was announced. The Kingdom’s participation was led by its Ministry of Education, which used WSW to teach STEM in schools throughout the nation. 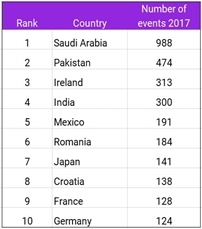 Pakistan was second with 474 events, and Ireland third with 313 events. World Space Week 2017 was 37% larger than the previous year, the Association reported. The Board of Directors, at its meeting today in Vienna chaired by Mexican Space Agency Director Francisco Javier Mendieta, also elected Timiebi Aganaba-Jeanty to the Board and promoted Michel Laffaiteur and Ali Al-Mashat to the position of Senior Vice President. It was also announced that Executive Director Goran Nikolasevic will leave the Association. “Goran was a very hard worker, highly dedicated to World Space Week, and we are sorry to see him go,” Stone said.